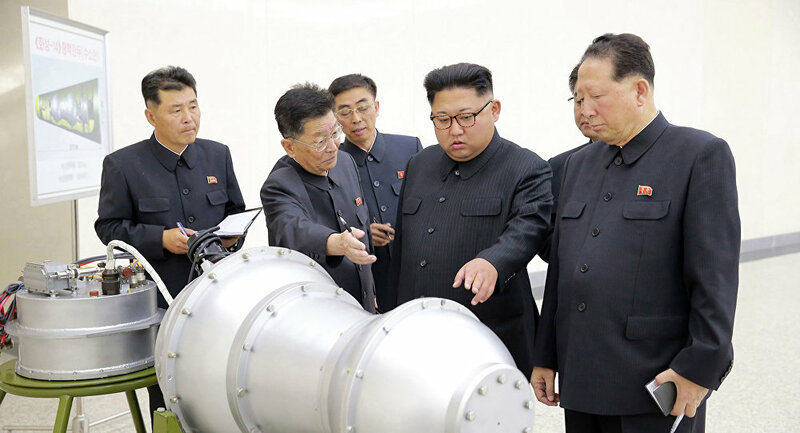 To gain insight into the North Korean nuclear issue Sputnik spoke with Tong Zhao, Fellow at the Nuclear Policy Program at the Carnegie Endowment for International Peace. After nuclear tensions between North Korea and the United States severely escalated during President Trump’s first year in office, in early 2018 there appears to be some sign of an improvement in relations between the two. Following a meeting between delegations from both Koreas in Pyongyang on Tuesday, the South Korean Government stated that North Korea could potentially be willing to hold talks with the United States concerning denuclearization, as long as Washington guarantees the future security of Kim Jong-un's North Korean regime. Sputnik: Will North Korea feasibly agree to de-nuclearization? Tong Zhao: I don’t think so. If we read what South Korea said about North Korean commitments, we can see that North Korean policy has not changed much from the policy of two years ago. Basically, what North Korea said was that it's no longer feeling the need to possess nuclear weapons, if the security threat from United States is fully eliminated and if North Korean national security is fully guaranteed. It would be extremely difficult for the United States to reassure North Korea about its security guarantee. For North Korea to feel safe, it might need the US to fully withdraw its troops from South Korea and might even demand that the US sever relations with South Korea altogether. I don’t think this is possible at all in the near future, but what North Korea might be willing to do is to offer a suspension of missile and nuclear tests, as long as the US agrees to talks. Sputnik: Do South Korea and the US hold different views concerning North Korea? Tong Zhao: They are very different. The US takes the view that they need to solve the North Korean nuclear crisis once and for all and doesn’t want to accept their existing nuclear capabilities. South Korea on the other hand believes that they have this shared goal of achieving a nuclear free peninsula in the long-term future, but it is unrealistic to think that North Korea will completely denuclearize in the near future. South Korea is willing to consider small concessions from North Korea, which will hopefully promote mutual confidence, which might lead to further and more radical changes to North Korea’s nuclear capabilities. Non-Nuclear Winter: Why Has North Korea Not Tested a Missile Since September?